Have you just completed a nonfiction book or a novel belonging to the aviation genre? Do you now want to get your aviation book published? 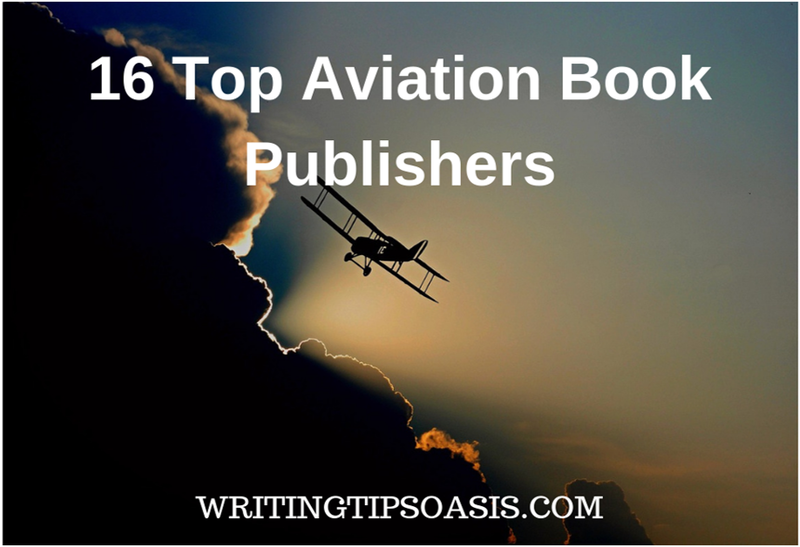 If so, it makes sense to find a publisher with experience of publishing books in this niche such as the following 16 top aviation book publishers. Casemate Publishers are a specialty publishing firm that produce works related to military history, military science and defence studies in USA. It was founded in the year 2001. Originally catering to the US market, Casemate opened its doors to the United Kingdom in 2007. Now, they publish books in a range of genres. King of Fighters by Mikhail Maslov, First Through The Clouds by Frederick Warren Merriam and Ian Smith Watson’s History of the Gloster Javelin are some of their aviation titles. If you’d like to reach out to them, then fill up this form on their website. You’ll find Casemate Publishers in Havertown, Pennsylvania. Since 1969, Osprey Publishing has been doing the rounds. It was originally owned by Berkshire Printing, a company that was founded to publish a series called Aircam Aviation. At present, it is based in Oxford, United Kingdom. The company publishes books on topics like combat, weapon, general military etc. You will find books such as Hellcat vs. Shiden/ Shiden Kai by Tony Holmes and Case Red: The Collapse of France by Robert Forczyk in their catalogue. Browse through their website to know exactly what kind of books they publish. Their contact page offers information for different queries so make sure to address your message to the right channel. Nancy N Schiffer and Peter Schiffer are the brains behind Schiffer Publishing. Established in 1974, this company publishes nonfiction books in categories like photography, military and aviation history, arts and crafts, fashion, architecture, mind body and spirit etc. Based in Atglen, Pennsylvania, some of the books this publishing firm has come out with are Hunting the Wind by Teressa Webber and Jamie Dodson and Hawker Hurricane by Ron Mackay. They have multiple imprints that focus on some niche publications. If you’d like to send them a proposal, choose the appropriate option from the drop down menu on their contact page. When you open up Crecy Publishing’s website you’re going to see quite a few aviation titles on their homepage in the Featured section. Some of them are demarcated by the time period in which they are based. So you can explore many categories within aviation like Aviation Today, Civil Aviation, World War One, Cold War, Aviation History etc. They even have volumes like British Secret Projects 1 by Tony Buttler and French Secret Projects 1 and so on. This Wythenshawe, Manchester-based organization was founded by Ian Allan in 1922. Now, Jeremy M. Pratt is the Managing Director. You may get in touch with them by phone, email or simply filling up the form on their website. With over 650+ titles in print on subjects like archaeology, aviation, sports, biography and more, Fonthill Media is an option you should consider for publishing aviation works. It was started in the year 2011 by Alan John Sutton, who has more than 40 years of experience in the field. Bill Norton’s American Aircraft Development, Brian Cull and Frederick Galea’s Fighters Over Malta and Philip Birtles’ Hawker, Typhoon and Tempest are a few names from their aviation releases. Fonthill Media is located in Gloucestershire, England. Their contact information is mentioned on the website, in case you’d like to reach out to them. Wiltshire, England is home to The Crowood Press, a publishing company that releases books on various subject matters such as horology, martial arts, aviation, equestrian, natural history etc. It was 1982 when John Dennis founded this company. The books they publish are written by authors who are experienced in their respective fields. Their backlist comprises of thousands of titles, a couple of which are Flying The Edge by Brian McAllister, British Aircraft Corporation: A History by Stephen Skinner and Nine Lives of a Fighter Pilot by Terence Kelly. Use this form to contact The Crowood Press with regards to any queries you may have. Although Squadron Books was started in 2017, they have paved their way as an aviation niche publisher. Located in Portland, Oregon, this company offers a well-rounded publishing package comprising of book cover designs, social media marketing, branded website creation to name a few benefits. Dustin and Nick are two military aviators who, persuaded by the need to publish important stories, founded this firm. The Warbird by Tara Copp and Just Lucky Enough by Ross Fischer are two of their releases. You can send them a message by email or the form on their homepage. Pre-World War One, modern warfare, aviation, maritime are just some of the genres that Pen & Sword Books deal with. They are a specialist book publisher whose formation is tied to its parent company – Barnsley Chronicle. Started in 1990, Pen & Sword Books was earlier under the charge of Leo Cooper. It is housed in Barnsley, England and if you take a look at their website, you’ll realize the extent of how much they contribute to the aviation book market. A Pathfinder’s Story by W.W Robinson, Air War Over the Atlantic by Manfred Griehl and Battlefield Bombers: Deep Sea Attack by Martin Bowman are some books their aviation imprint has produced. There are detailed forms available on the website should you wish to contact them. Grub Street Publishing specializes in books about military aviation history and cookery. In addition to having worked with established authors like Christopher Shores (Bloody Shambles) and Norman Franks (Air Battle for Dunkirk), the firm also believes in giving opportunities to new and budding authors. Andy Saunders, Peter Kilduff, Sean Feast and Ken Rees are other authors whose books they’ve published. Anne Dolamore has been the publisher since 1989. London, United Kingdom is where you’ll find the company. Be sure to go through their submission guidelines if you’d like to have your book published by them. You’ll find all the necessary contact information on the website. Here’s an organization that manages the entire process of publishing a book from concept to production. You may also hire Chevron Publishing for the editorial services they provide. So far they have published around 200 books on motor sport, armoured warfare, military aviation and wildlife. Based in Sussex, England, Chevron Publishing is owned by Robert Forsyth and continues to publish titles under its different imprints. It was 1996 when Robert published the first book under the name of Classic Publications. Since then, the company has undergone some changes. War Over the Trenches by E.R Hooton and Liberty or Death by Maria Paez Victor are two books they’ve put forth. The company’s phone number and email address has been provided for those who wish to reach out to them. Richard Stenlake is the Managing Director of Stenlake Publishing, a firm that was established in the year 1987. This is yet another company that rose from the founder publishing his own work. Based in Ayrshire, Scotland, they dabble in subjects such as canals, aviation, mining, horticulture, contemporary ceramics and others. A couple of books they’ve published are A History of British Waterplanes by Arthur W.J.G. Ord – Hume and The Stirling Bomber by John Reid. They are open to considering nonfiction submissions for publication. So go through their website, get an understanding of their interests and contact them via email or phone. If you are from New York City, USA and are looking for an independent publisher that has previously worked on books related to aviation, then look no further. Skyhorse Publishing caters to audiences interested in politics, true crime, military history, sports, humor etc. It was established in 2006 by Tony Lyons. They have published forty eight New York Times bestsellers, have eighteen imprints that manage different niche areas and also boast more than six thousand titles in their backlist. That right there is a sign of how the company is growing at a steady pace. In their submission guidelines, you’ll find the necessary details that you should follow before you contact them. Aerodynamics For Naval Aviators by H. H. Hurt, Instrument Flying Handbook and Pilot’s Encyclopedia of Aeronautical Knowledge are books that have been published by the firm. Aviation, regional dialect, ghosts and the supernatural, architecture, railways, walking and cycling. Do any of these genres call out to you? Well, Countryside Books, an enterprise started by Nicholas Battle and his wife Sue Battle, is an independent publisher that produces books on local interest subjects. Since 1976, the family has been striving to deliver quality reading to the masses in and around Newbury, Berkshire, England. What’s interesting to note is that Countryside Books not only publishes works according to subject matter, but also on the basis of region. So if you wanted to specifically look for books related to Cheshire, Lancashire or Norfolk, you could simply browse their website and discover such books. Michael Wadsworth’s Heroes of Bomber Command Yorkshire, Martyn Chorlton’s The RAF Pathfinders are a couple of names from their small list of aviation releases. Here’s how you can contact them. Jack Herris is the founder of Aeronaut Books, a publishing company that exclusively works on aviation history books. It was founded in 2010 and as per the company’s Facebook page, it is currently located in Reno, Nevada. If you take a look at the different topics they cover, you are bound to encounter categories like aviation art, aircraft, modelling, The Blue Max Airmen etc. Aviators of the Great War by Jim Wilberg, Tumult in the Clouds by Russell Smith and Victoria Cross: WW1 Airmen and their Aircraft by Alex Revell are a few of their titles. Those who would like to work with them should read the instructions on how to organize your material. And then you may reach out to them by phone or email. Brule, Wisconsin is home to this publishing company that was started in 1999 with the release of book, Glensheen’s Daughter. Cable Publishing has around hundred thousand copies in print and a few bestselling titles too. While they largely focus on publishing nonfiction books along the lines of history, medical, aviation, they are open to considering mysteries, self-help and children’s books as well. Fill up this form on their website to get in touch with them. Or you could send an email. Nan Wisherd is the President of Cable Publishing. Those Incomparable Bonanzas, The Immortal Twin Beech and Capt. Jepp and the Little Black Book are some of their aviation books. Taking to the Skies by Jim Eames, The Fabulous Flying Mrs. Miller by Carol Baxter and Empire of the Clouds by James Hamilton-Paterson are Allen & Unwin’s contributions to the aviation niche. This leading Australian publisher has been voted “Publisher of the Year” thirteen times. While the Australian branch was founded in 1976, Allen & Unwin was originally established by Staney Unwin as a British publishing firm in 1914. You’ll find the Australian office in Sydney, New South Wales. They are open to receiving books in a multitude of genres including nonfiction, illustrated works, commercial fiction etc. So adhere to their submission guidelines. You may also contact them through the form available on the website in case of any queries. Are there any other aviation book publishers that should be on this list? Please tell us about them in the comments box below!